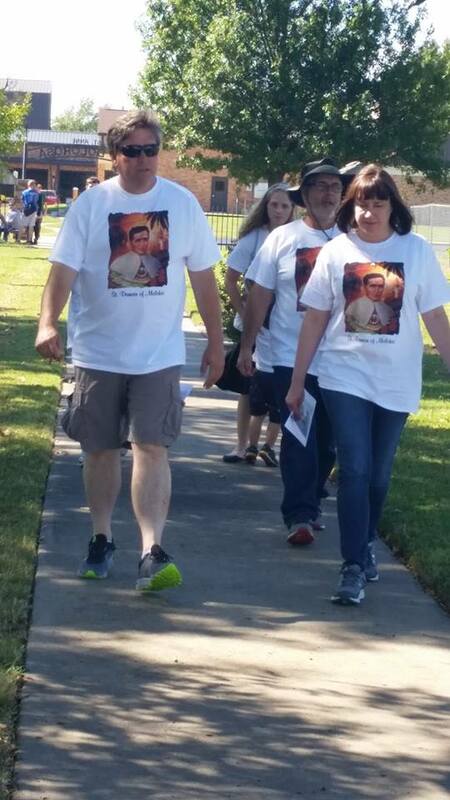 On Sunday, October 9th the Diocese of Tulsa hosted a Walk for Vocations at St. Anne’s Catholic Church in Broken Arrow, OK. Challenge and Conquest members and families participated, with the purpose of this event to raise funds for the Damien House, the new discernment house in Tulsa, as well as awareness of the need for more Vocations. Fr. 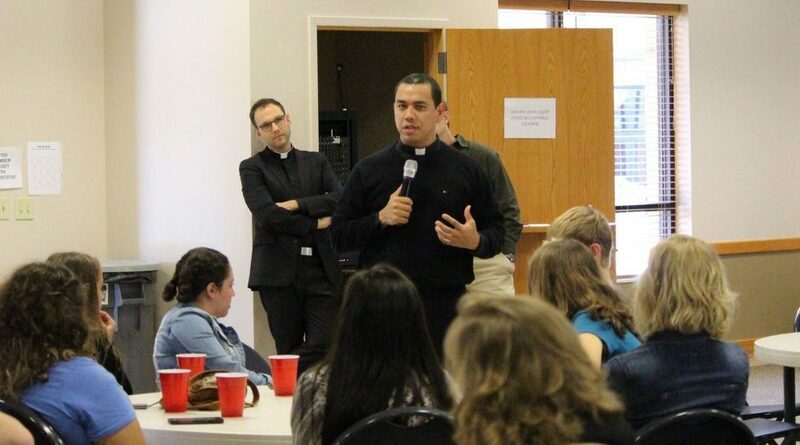 Elkin Gonzalez, our Vocations Director, and Fr. Gary Kastl, St. Anne’s Pastor, kicked off the event by celebrating Mass. Walk for Vocations participants went on to enjoy a delicious lunch of hamburgers and hot dogs provided by the Knights of Columbus with desserts provided by the Challenge club girls from St. Benedict’s. Bishop David Konderla, Fr. 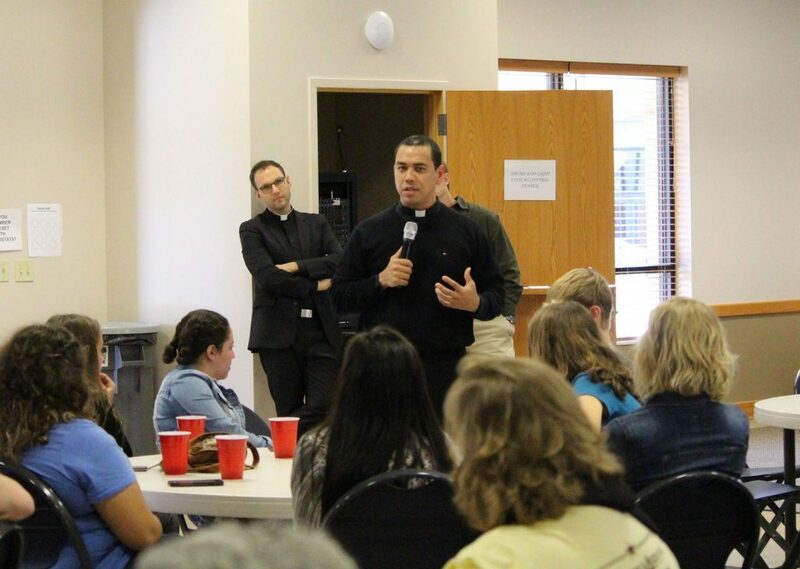 Elking Gonzalez, and James Porter, a seminarian for the Tulsa Diocese, spoke to the group about the beauty of following God’s call in their lives and how we all have a Vocation that God reveals when we open our hearts. Teams of participants received prizes for showing off t-shirts, cheers and posters for Vocations as well as for completing walking challenges around St. Anne’s beautiful Way of the Cross which included 1, 2, or 3 mile prayer pilgrimages. The team that raised the most money will be enjoying dinner at the Damien House sometime soon. All in all this event raised over a thousand dollars and was met with unanimous support in favor of undertaking this event again next year.